The fun part of the Wreck Diver module of the PADI Advanced Open water course with Abyss Scuba Diving is visiting wrecks of the Ex-HMAS Adelaide, and start to gain the knowledge and experience that allows you to see things that others overlook. 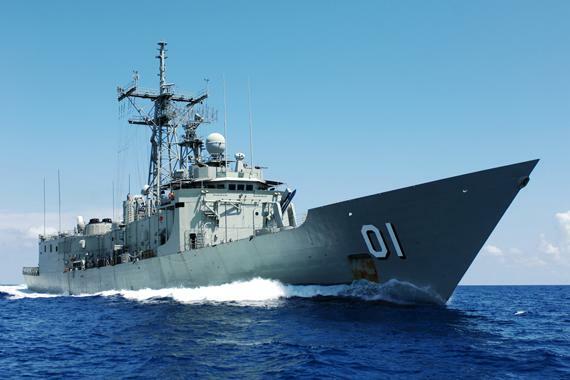 The Ex-HMAS Adelaide is a former Australian naval warship that was purpose prepared and sunk to create an artificial dive reef. 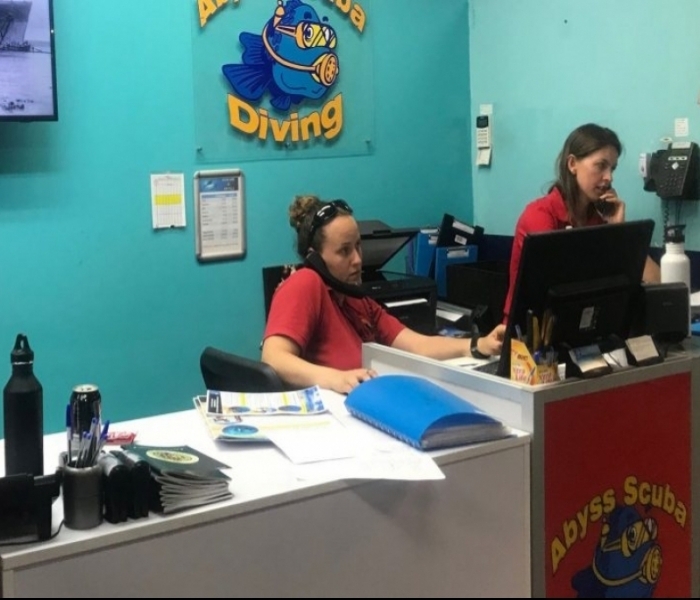 Located approximately 1.8km off Avoca Beach near Terrigal on the Central Coast of New South Wales, in 34 meters of water this site has been prepared and optimally located to make it attractive to divers of all levels of experience. The ship measures 138 meters from bow to stern, with a beam of 14.3 metres and original displacement of 4100 tonnes. You will be able to enter the bridge and you will recognize the captain’s chair, console and maybe even make a call home. This is a great introduction world of wreck diving. Scuttled in April 2011 the Ex-HMAS Adelaide is already home to an establishing healthy marine community, where along with encrusting “first settlers”, the shipwreck is now home to a growing marine community which includes the giant eastern cuttlefish, eastern blue groper, kingfish, blennies, yellowtail, octopus, banner fish and bat fish to name a few. 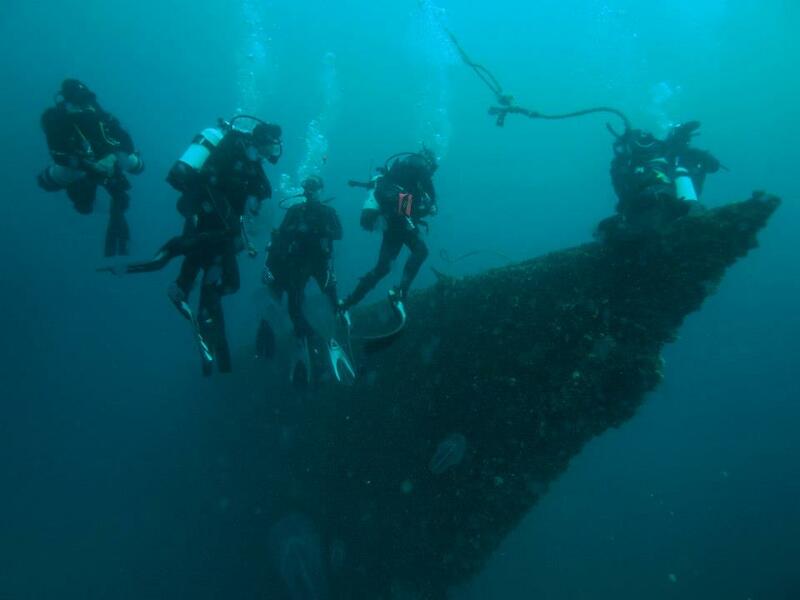 As part of your PADI Advanced Open Water course diving the Ex-HMAS Adelaide and doing the wreck diving module is a highlight. 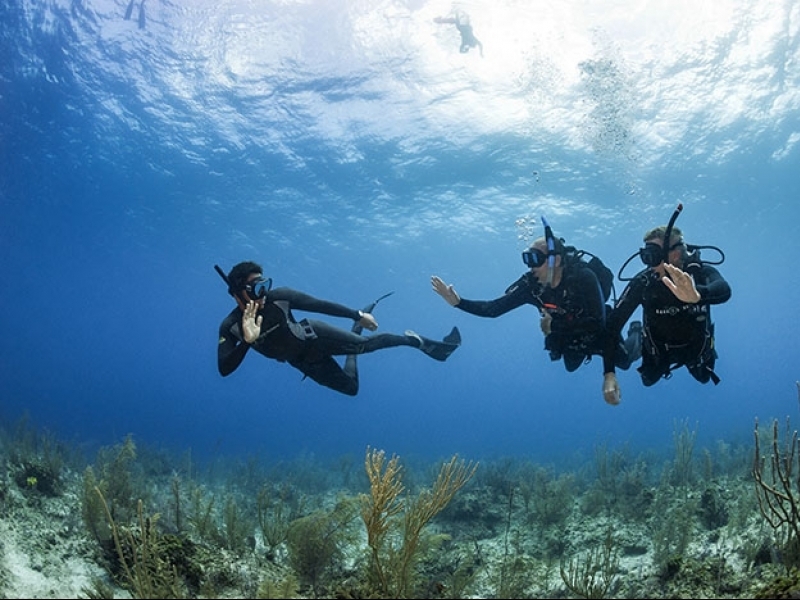 Once you have done the wreck module of your PADI Advanced open water course you won’t be able to wait to do your PADI Wreck Diving Speciality and get the rust into your blood.